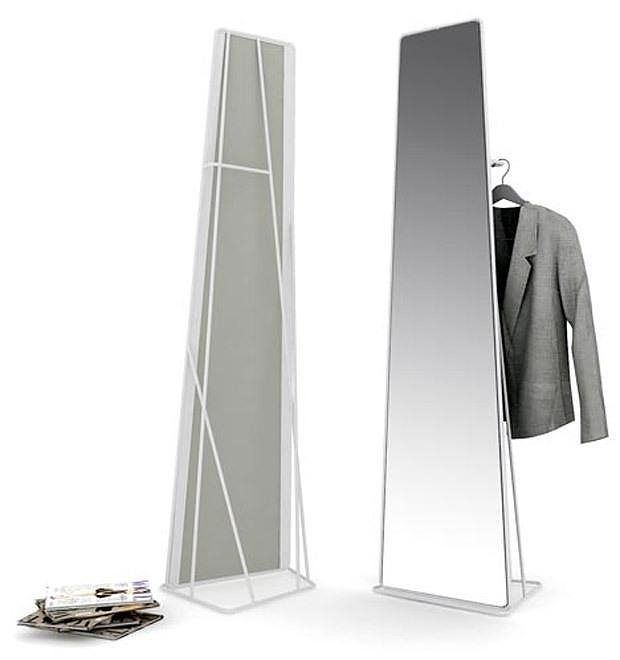 HomeBlogHome DecorWatergate Mirror by Roberto Paoli for spHaus. 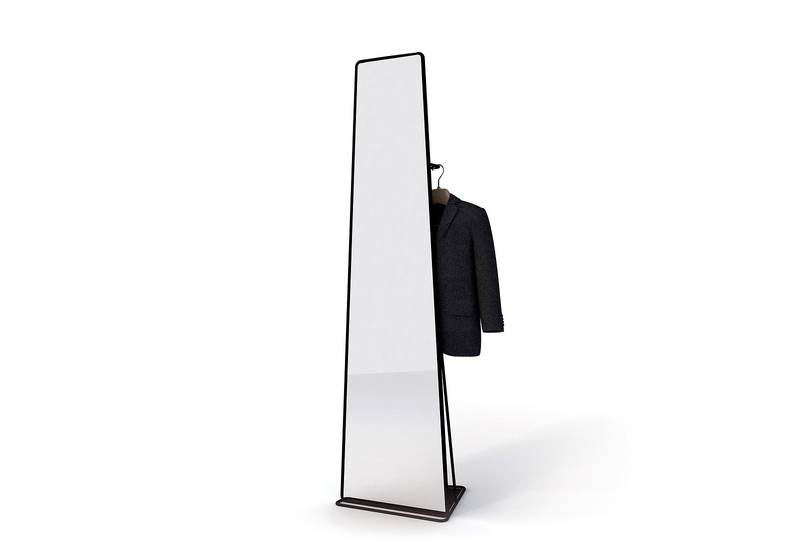 The Watergate Mirror was designed by Roberto Paoli for Italian furniture company spHaus and it is a contemporary freestanding mirror with an integrated clothes stand elegantly hidden behind it. 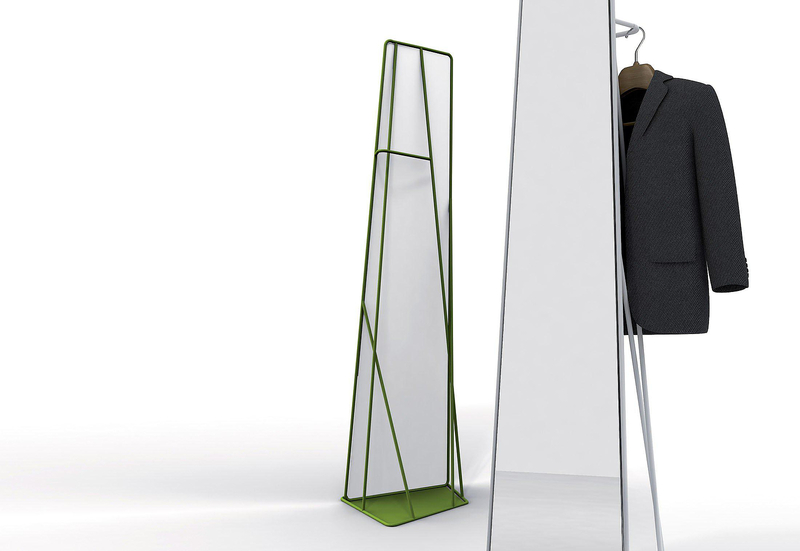 Watergate has a sleek trapezoid shape and is supported by a tubular metal structure that can be used for hanging clothes. 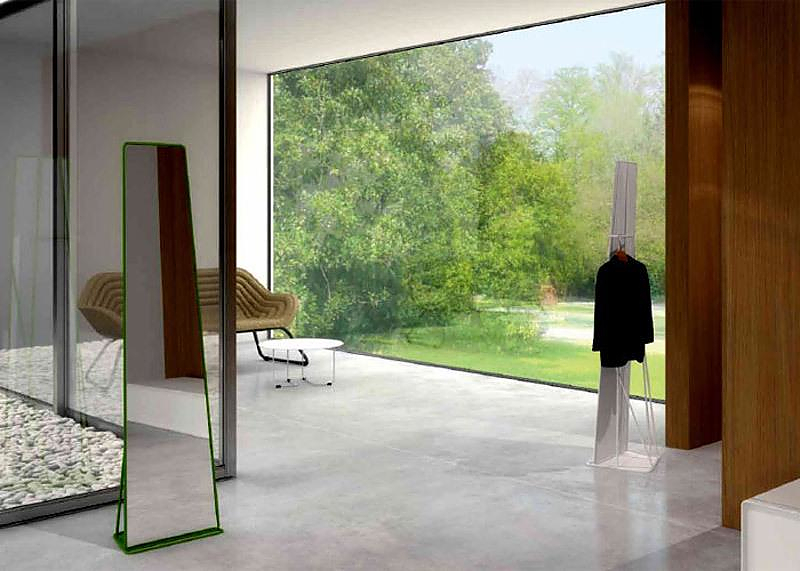 Essentially the rear creates a dynamic intangible volume and is modeled to double as a hanger. 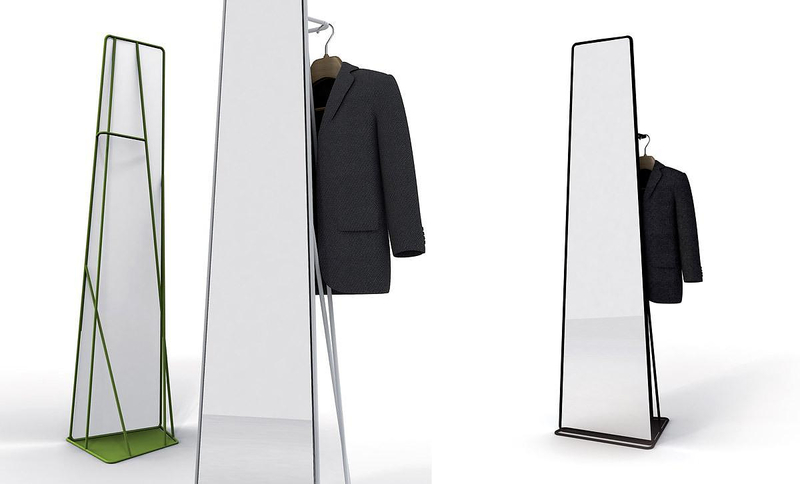 The Watergate mirror is ideal furniture for bedrooms and entrance areas, as its double function combines usability with great aesthetics. 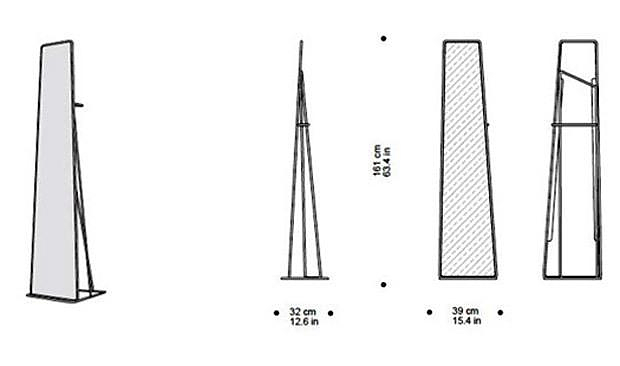 It is available in white, black, brick red and apple green.